It was bound to happen. 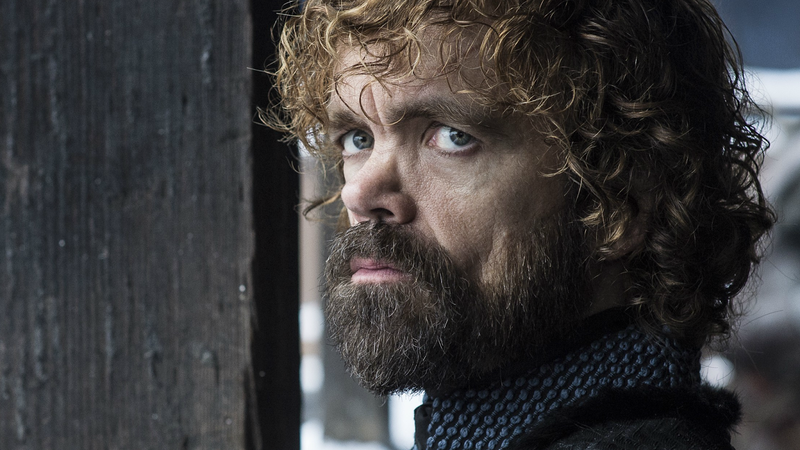 The end is growing near for “Game of Thrones,” and emotions are already running high. That may sound strange. However, when you consider that this show has spent so much time being thought about for nearly a decade, it makes sense. At least, to the person feeling this way. “Game of Thrones” has not been a breezy binge that took a few weeks to sift through in rapid succession. It has taken eight years to get to this point. Despite the distance, yours truly can still remember incidentally seeing the trailer for it for the first time. It happened while programming the DVR for unrelated content on HBO. Yes, seeing it left that significant of an impression it has lasted all of these years. As a fan of costume dramas, it was easy to get drawn in. I will admit that the wolf puppies caught my attention too. Then I began recognizing one familiar face after another making their way across the screen. The hook was set. “Game of Thrones” rendered this fan captivated and it has had me and millions of others firmly in its grip ever since. Hence, the anguish. For eight years, the show has provided something to look forward to year in, and year out. No matter what was going on in real life, it has been there through the good and the sometimes really bad. Even when that wait lasted longer than anticipated, it was impossible to grow frustrated. It just meant being able to savor what was left a little longer. In many ways, that sums up the “Game of Thrones” experience for those who have lived it since Day 1. It has been about patience and not getting easy payoffs right away. Just ask the Stark family. They have suffered one brutal loss after another. Making the desire to see them get some measure of justice a burning desire far from fully quenched. The longing to see it, urging you to stick in there with them. As richly crafted as the family easily worth rooting for has been, “Game of Thrones” has rendered their amoral counterparts (House Lannister) with equal depth. The Starks have Ned, while the Lannisters have their towering patriarch, Tywin Lannister. The family is complicated, to say the least. They do have a noble member in Tyrion, whose development throughout the seasons has been a master class. Countless deaths, betrayals, and triumphs have all brought us to this. The journey is getting ready to end soon, as in uncomfortably soon. We will have to bid farewell to characters who have captured our hearts and enthralled our imaginations. That is not an easy thing to say goodbye to and nor should it be. It is a sign that “Game of Thrones” has done its job. Having watched live when that very first episode aired, it has been an honor to have watched every episode since. To have seen these characters grow and the show go from buzzy risk-taker to full-blown pop culture smash has been a marvel to behold. In “Game of Thrones’” case it has been mightily earned. As a viewer who has written avidly about the show for a while, it is the end of an era. Being able to write about it as a story still unfolding with all of its fizzy excitement is a chapter that will soon close. Wondering what could have been for various characters will remain. Writing about “Game of Thrones” has been a pleasure and a privilege. No other series has stimulated personal imagination to a larger extent. It is special, and I will love it for that and many other reasons, forever. Even if the ending turns out puzzling. To add to its maverick motif is that it is bowing out early. Eight seasons in and this fan is still in no hurry to say goodbye. All of the exciting things are getting ready to happen. The Starks finally getting reunited. Daenerys learning, she is not the true heir to the Iron Throne. Tyrion possibly finding peace and hopefully a lasting love with someone. Everyone is arriving at their defining moment. Some will undoubtedly rise, and others will just as likely fall. What “Game of Thrones” has subtly taught about vengeance, justice, and power will comprise a lot of its personal legacy. Its penchant for shocking deaths and plot twists galore placing it in rarified company as a viewer. Many have come before, and many will come along after. Still, few will have cast the pop culture shadow “Game of Thrones” has managed. The majesty of its theme song will play on as a melodic and iconic symbol of its rich qualities as a television show. The series finale of “Game of Thrones” will air on May 26. After that, we will all hear its theme song’s stirring final rift and know how the game has ended for its various players. Whatever its outcome, when it comes to what it has meant to go on this journey, it has been a winning experience for this fan. The end begins with the premiere of “Game of Thrones” Season 8. The final season bows on Sunday, April 14 at 9 p.m. ET on HBO.